We’ve swooned plenty of times over Michelle Obama’s style, now we have reason to do the same over her husband. 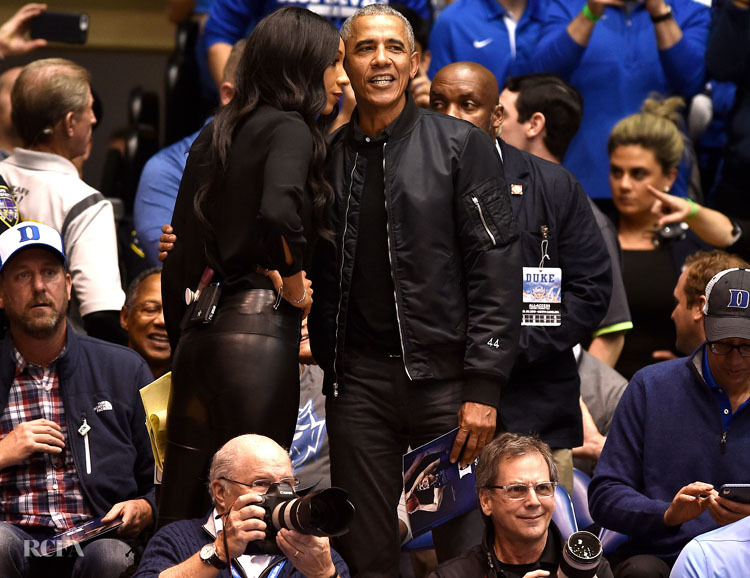 Barack Obama was courtside at the Duke vs. University of North Carolina basketball game on Wednesday (February 20), dressed in all black, but it was the black bomber jacket from New York-based label Rag & Bone that caught my attention. Check out the ’44’ embroidery, a reference to his standing as the 44th president, on the sleeve. 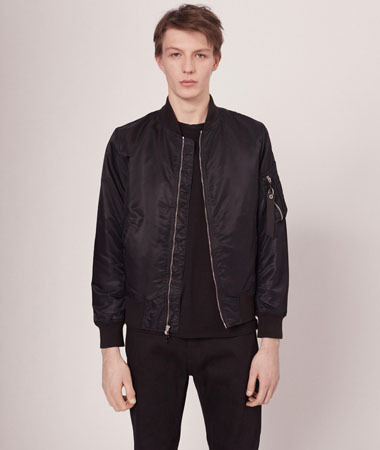 The ‘Manston’ bomber jacket, which is a modern update on an authentic military silhouette, was styled with slim-fit jeans of the non-mom variety. This man has too much sauce. I feel like I will burst into flames if I stare at him too long.